You can play these meditation sessions, any time you want to meditate. You can press the repeat button to continue repeating any meditations. 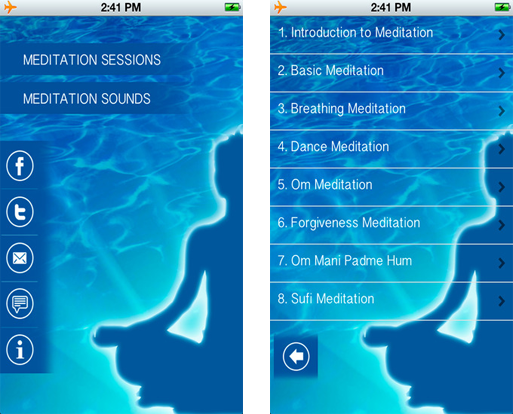 You can also repeat meditations without the instructions, by selecting it from meditation sounds. In addition to the above 7 sessions, we have introduction to Sparsh Meditation Session, which introduces you to the concept of Meditation. Sparsh Meditation App has the following features.